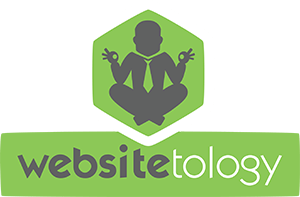 Websitetology – Post more often with Utterz, or not. Post more often with Utterz, or not. Having problems posting often enough? Always on the go when you see something that you want to share? Have a cell phone? Utterz might be the answer. Although you’ve always had the ability to post via e-mail- without some serious pluginage, you would have a hard time adding cell phone multi-media to a post. Enter Utterz. Snap a pic, record a podcast, or a quick camera video and post it to your WordPress blog (even though they left WP off their FAQ-but use it for their own blog) with a simple call to their number (and yes- you pay for the call). Just remember, if you are posting (utterz) of audio or video- remember to add text to make your post searchable- or you’ll just be uttering to yourself and your subscribers. There is a lot of buzz about Twitter as the dawn of instant mobjournalism- instant “Twitterquakes” when something relevant happens to a large group of people who are connected. An earthquake or terrorist attack would instantly fill the twitter-ether with reports. You don’t have to use Utterz as a social media tool- just a way to post- but, the options are out there.